Star Wars and Disney: Match made in…. ? I’m a gigantic Star Wars nerd. I sit here with my Boba Fett watch on, my keys in my pocket with the Boba Fett key chain, typing on the computer next to my Boba Fett bobble head, my Star Wars slurpee cup (change jar), with my Darth Maul blanket to keep me warm. My bedset is Star Wars, with the Millennium Falcon and an X-Wing on it. There’s a Boba Fett figure on my bookshelf, and my Christmas Tree will be covered with Star Wars ornaments. I’ve read every post-original movies Star Wars book. I’ve read a decent amount of the graphic novels. It has been said for years now. There will be no more Star Wars films. It gave me a sense of finality. Yes, the books will continue, and I love them, but the movies are over. Watching the original trilogy was part of my childhood that I would not have wanted to be without. 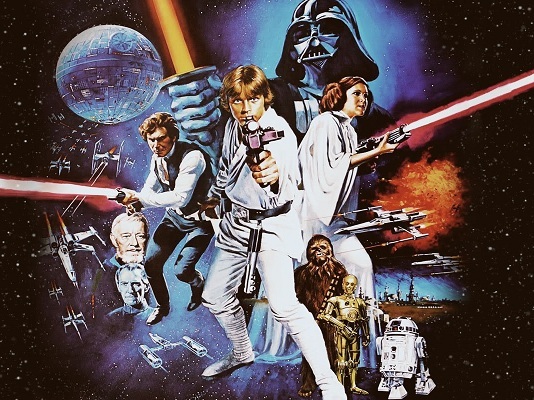 I will never forget the sense of wonder when I first saw any Star Wars movie–it was Return of the Jedi, and I was watching it on my uncle’s couch. I saw Boba Fett and thought he was so cool (still do, obviously! ), and the story was just amazing to me. Now there is the news: Disney bought Lucasfilm, there will be new Star Wars movies. Intial reaction: shock. I actually had trouble believing it is true. But what does it mean for my beloved franchise? Will they follow the story in the sequel books? If so, how will they get actors to sign on for an endless string of movies? And where will they start? The Thrawn Trilogy? Oh my goodness. I just realized that is a possibility. Suddenly I’m more excited for something than I’ve been in a long time. I was already. So, Disney bought Lucasfilm? I hate it. I love it! I hate it. I LOVE IT! Oh please let good things happen. Don’t forget, it you like my random musings here, check out my philosophical, theological, and apologetic arguments at Always Have a Reason. Few of you may know about my intense interested in everything. This blog is an expression of those eclectic interests. I watched the episode on there about Harpy Eagles and just loved it. I can’t stand monkeys–gross little critters if there ever were any–and these eagles eat monkeys. Yes, they’re that big. Awesome. Another amazing episode was the one about wolverines. They’re such wild, amazing creatures. They can consume bones for nourishment and despite being small, they can take down very large prey. 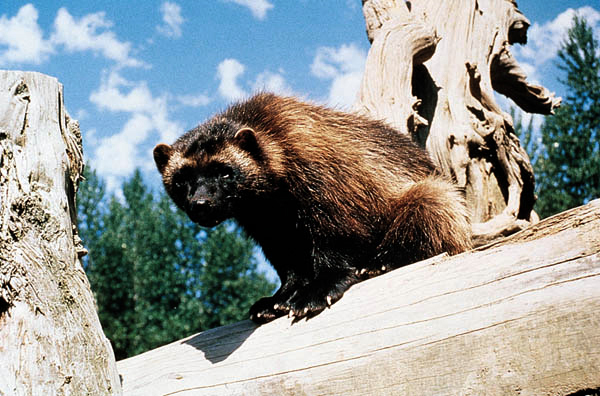 Wolverines climb all over mountains without even slowing down. Amazing. Suffice to say, I have now found a great series to watch as I read. I love having them on in the background as I read philosophy/theology/history. God’s creation is truly a majestic, wonderful canvas. I encourage you to learn more about it. 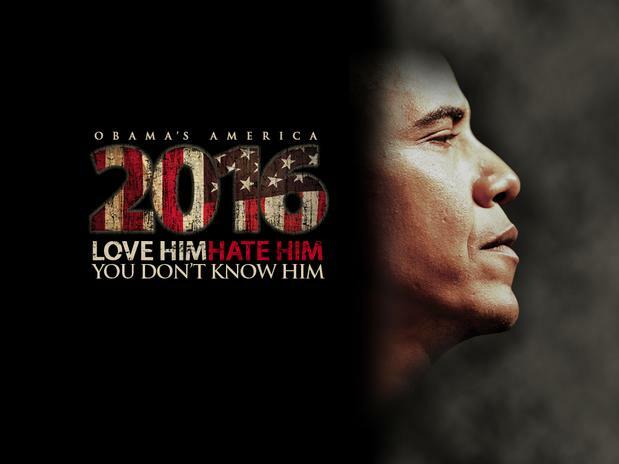 Recently, I watched “2016”- the conservative documentary which explores Barack Obama’s past. In it,Dinesh D’Souza, a conservative political commentator and Christian apologist, argues throughout the film that President Obama’s worldview is steeped in a variety of anti-colonialism which he got through the teachings of his father and mother. D’Souza offers this as a hypothesis to explain the political policies that President Obama has enacted and continues to pursue. “2016” traces the roots of Obama’s worldview back to those of his father, an entrenched anti-colonialist. Basically, anti-colonialism is the view that certain powers–the UK, the United States, and the like (largely European)–have utilized their powerful history in order to exploit those who are less powerful, and these wrongs must be righted. Thus, anti-colonialists would largely favor policies in which the wealth is ‘spread around’ and the wealthy are directly attacked simply for the fact that their wealth is intrinsically immoral. Why? Well, simply because whatever wealth they have, according to principles of anti-colonialism, has been taken wrongfully from those who no longer have it. They take the raw materials, manufacture goods, and then sell it back to the places from which they take the raw materials at exorbitant prices. Whether or not one follows the tenets of anti-colonialism, it seems that D’Souza may have hit upon a great resource for explaining many of Obama’s policies. Consider the fact that Obama has cut off funding for oil pipelines and drilling for the United States–which would have created thousands of jobs and reduced the price of oil and our reliance upon foreign oil–while simultaneously giving money to several South American countries to proceed with their own drilling projects. Initially, his opposition to drilling in the U.S. would seem to stem from environmental concerns, but that would not explain why he supports giving money to other countries to do just that. Once D’Souza’s hypothesis is put into play–that Obama is influenced by and continues to utilize various anti-colonialist ideals–the move makes a lot more sense. The United States can be seen as giving its wealth back to the countries from which it wrongfully took it to begin with, and thereby increases the infrastructure and global power of those countries at the expense of the U.S.
D’Souza traces similar paths in many other foreign policies, such as the reduction of the U.S. nuclear arsenal. Strangely, President Obama has favored reducing our own military power and our deterrent nuclear arsenal while also refusing to interfere with other countries developing their own nuclear arsenals. If one views Obama as someone working towards global peace by eliminating the threat of nuclear war (as those who gave him the Nobel Prize apparently thought), then this doesn’t make sense. However, once one points to anti-colonialism, the motivation seems much more clear. Those countries which have not achieved the global deterrent of nuclear power are encouraged (or at least not discouraged) to increase or begin their arsenal, while the U.S.’s ability to do the same is actively decreased. Such a move, of course, is radically against the doctrine of peace through strength. Furthermore, D’Souza traces the President’s chosen path of education and the friends with which he surrounds himself, pointing out the radically liberal and often anti-colonial tendencies of many of those who are his closest advisers, friends, and his pastor. The links that are forged throughout “2016” begin to add up into an extremely strong wealth of evidence that supports D’Souza’s hypothesis: Obama is an anti-colonialist who has been using his power as the President to undermine the United States’ global influence. Thus, throughout the film one can see a pattern of how D’Souza’s hypothesis that President Obama is an anti-colonialist is supported by his education and upbringing, and that it is the hypothesis which best explains the seemingly contradictory policies the President has been pushing while in office. The film does have some negative points, however. First, there is a bit of unnecessary hints that President Obama is influenced by Islam. I think that this may be quite possible, after all those who influenced Obama largely were influenced by Islam themselves. It would be hard to separate these influences. However, I know of no concrete proof or data in this regard, nor does the film present any. Instead, there are just lingering images over the name “Hussein” as part of the President’s name as well as that of his father. Second, the film generalizes a lot on the nature of anti-colonialism and its implementation. However, this latter difficulty is understandable, given the fact that it is the nature of film making that there is a limited time in which to present the topics at hand, so ideas must be simplified in order to convey them in the time available. Third, when D’Souza turns to an analysis of what the world will look like in 2016 if Obama is re-elected, it seemed to me there was a bit of fear mongering happening. For example, one of the points was that there would be a United States of Islam. I can’t help but think two things about this: first, that sure is a whole lot for Obama to accomplish in a second term! Some have been trying to unite the Muslim world ever since its separation and suddenly Obama is supposed to pull it off! That seemed a bit absurd. Second, it seemed to me very much like a case of using a religious affiliation to inspire fear. The United States of Islam would be the religious “other” and as such is to be greatly feared. I have written on the fact that many use the “myth of ‘religion'” to stigmatize that religious other. Overall, “2016” was a fascinating movie which will force viewers to evaluate the claims therein. Although D’Souza has been scoffed at by many for his rather radical hypothesis, one can see how anti-colonialism may indeed be the factor that best fits the set of data we have about President Obama. By linking Obama’s past influences with his current policy and showing how these are all explained most effectively by the hypothesis of anti-colonialism, D’Souza has presented a powerful working theory that explains how Obama’s policies have been working to undermine the prestige of the United States worldwide. Viewers will be forced to ask themselves: is this what you want for the United States by 2016? You bring me the books, I enjoy them too! Reserve them, check out, renew, a Godsend! Okay, so there’s why I’m not a poet. Anyway, I really love the Library. I find it amazing that I can see a book recommendation from a friend, search the book at my local library system, reserve it, walk in and out all in about 5 minutes, and boom! New book to read. Here’s an example: with the political season underway, I decided to do some research on gun control. I know, it’s not a huge issue in the elections coming up, but I thought why not, I could stand to learn more! Boom, tons of books available instantly at my local library. How awesome is that? Another example: a friend mentioned a steampunk book he really liked. I love that genre and thought, why not, I would love to read something steampunk. Local library had it. I reserved it and picked it up the next day! So it seems to me that whether you’re using it for research or casual reading, your local library is the place to be. Do it! Talk about something worth your tax dollars. Support your local library, my friends!